Think of your favourite spa – what is it about it that appeals to you most? Is it the restful music, the well-designed interiors, the enticing aroma of essential oils, or the products themselves? 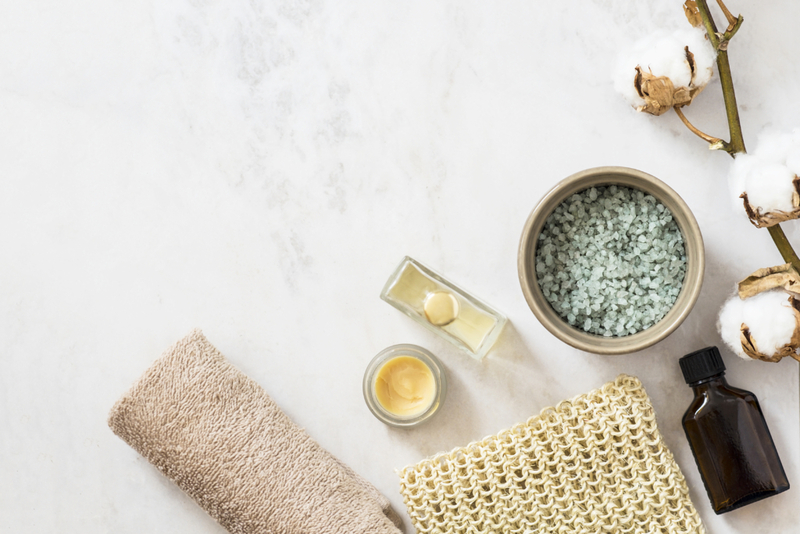 A good starting point when creating your own home spa is to take five minutes. This time can be crucial to then focus on what truly relaxes you. Do you enjoy the scent of lavender, or do you find it too stuffy? Does listening to music help you switch off, or does it distract you? It’s amazing how light can influence mood! For example, simply using your dimmer light switch or swapping bright bulbs for warmer ones can instantly make you feel more relaxed. 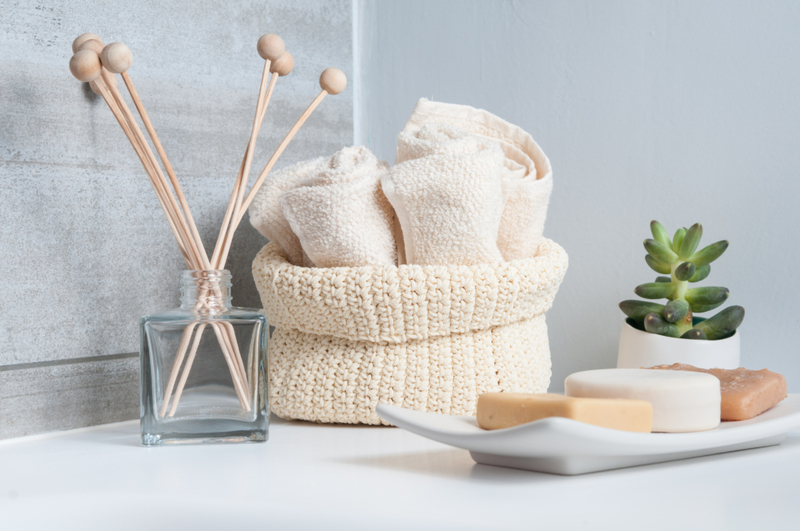 Candles are also a bathroom sanctuary must-have, with Neom Organics and Diptyque all stocking a range of relaxing scents. If you’re having trouble sleeping (don’t worry, you’re not alone, apparently 40% of Brits do) Lumie’s wake-up lights are a must-have. On top of mimicking the sunrise to help you ease into day, they also double up as a dimmable lighting. As well as injecting colour into our homes, plants can also purify the air around us. A plant will not only look good, but it will release oxygen and soak up carbon dioxide. Great bathroom additions include Aloe Vera, one of the world’s most powerful air purifiers. Did you know its sap can also be used as a cooling skin balm? In addition, jasmine can help to keep anxiety at bay. We’d also recommend trying a eucalyptus shower! Simply tie a bunch of leaves to your shower head and enjoy a revitalising wash. Green-fingered? Pick a handful of rose or calendula (marigold) petals from your garden and scatter these under a running bath tap. Music can play a significant role in helping you to relax, not least because it can trigger the release of that all-important feel-good hormone, dopamine. Classical music is said to be one of the most relaxing genres to tune into, but if you’re unsure of where to start, Spotify has plenty of playlists for you to explore. 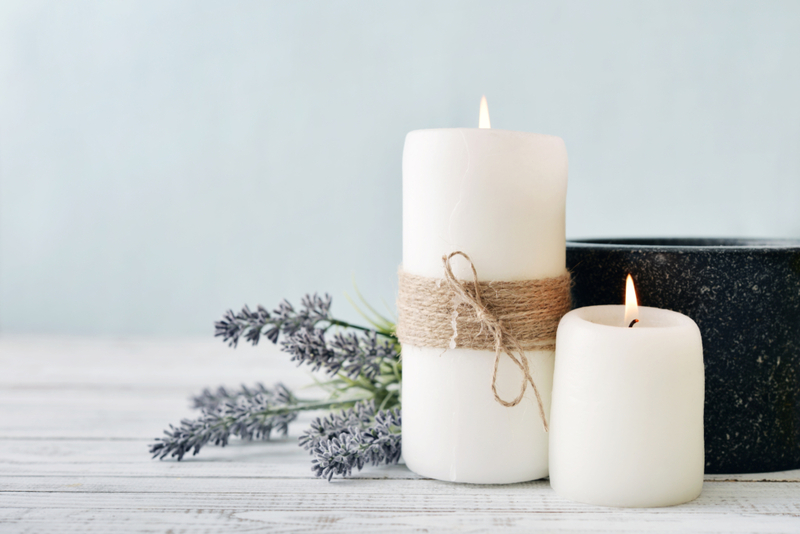 Meditation can also provide a suitably serene soundtrack for your home spa. Apps such as Calm and Headspace are filled with guided tutorials to help you clear away any mental chatter that could keep you from relaxing. 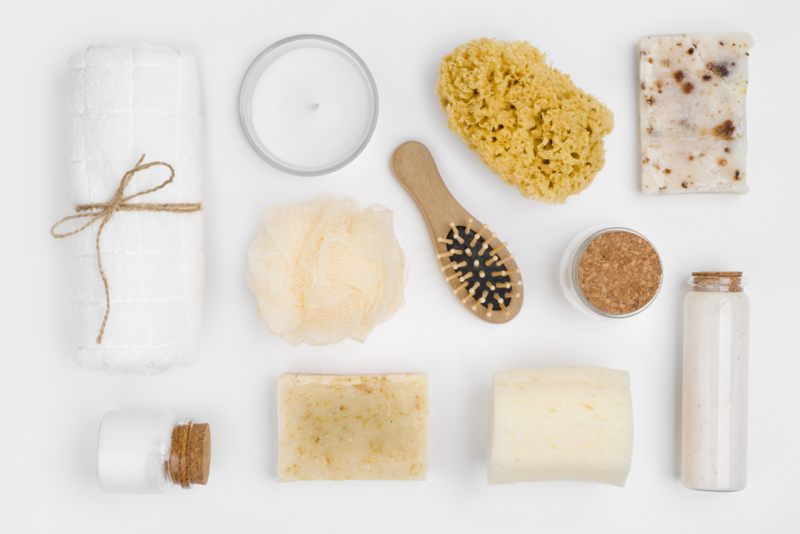 There are plenty of make-at-home beauty treatments available if you run out of your favourite lotions and potions. A skin-restoring face mask can be made in seconds using just oats, honey and water while a blend of avocado, honey and olive oil creates a fantastic hair mask. Bath salts are just as straightforward to make – just combine epsom salts with baking soda, plus a dash of essential oil if desired. We recommend peppermint oil for clarity, lavender for relaxation and lemon verbena for an instant wake-me-up. Any seasoned spa-goer knows that it’s important to stay hydrated so make sure you have a jug of water to hand. We also suggest adding lemon and orange slices for added zing. Or, put on the kettle so you have a warming pot of tea waiting for you at the end of your pampering session – we love Whittard’s Sleepy Tea and T2’s Peppermint Loose Leaf in particular. Fabrics also greatly affects the overall spa experience, so think about the colour and feel of your towels, dressing gown and slippers. The White Company’s hydro-cotton bath mats are just the thing to sink bathed feet into, while the brand’s waffle towels and dressing gowns are as comforting as they are stylish. Check out our Health & Wellbeing Pinterest board for more ideas.